This year health and wellbeing were amongst the hottest trends at CES in Las Vegas. Thibaut Loilier, our innovation reporter working as Business Development manager at the AXA Lab in San Francisco, tells us how tech companies are transforming healthcare services. In the last few years innovation in digital health has been growing at an astonishing pace: 2017 saw the greatest amount of funding being invested into digital health to date, with venture funding approaching $6B in the US alone with a record 345 deals, according to Rock Health. 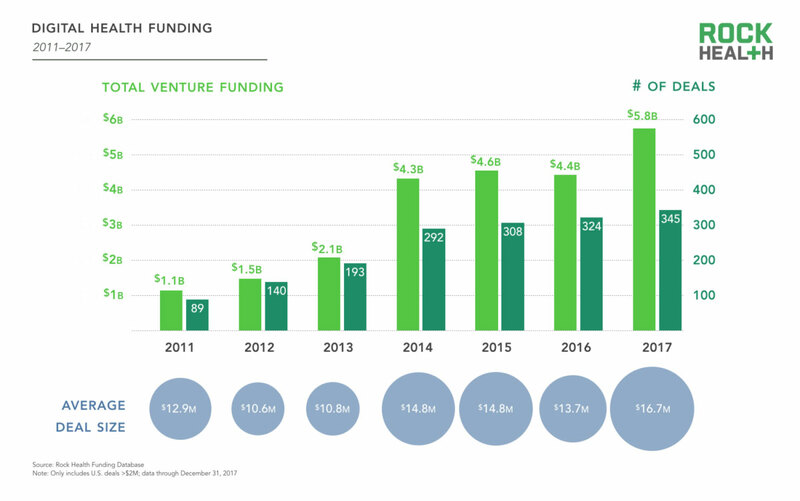 StartUp Health, which analyzes digital health funding across the globe reported $11.5 billion in funding in 2017, a $3.3 billion increase from the previous year. From self-care and wellbeing services right up to elderly tech, smart technologies are already redefining the entire healthcare industry. Here are some of the technologies spotted at CES that are already transforming the healthcare industry. The value of wellbeing and self-care is becoming increasingly recognized at CES. The concept of self-care is becoming ever more important as people are increasingly encouraged and interested in taking care of their own health and wellbeing. 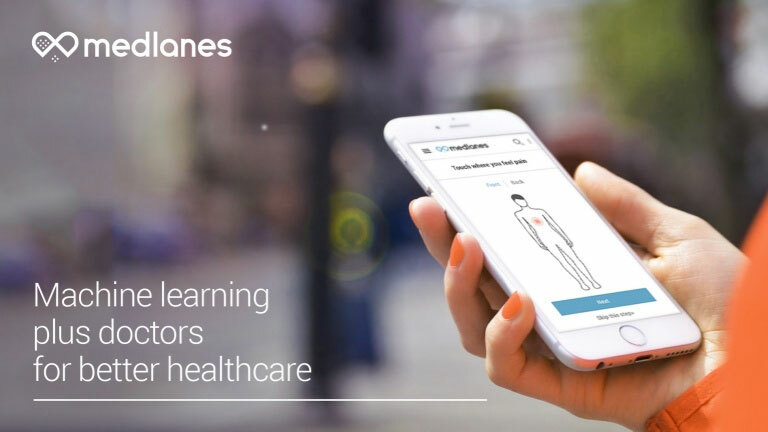 In 2016, AXA Strategic Venture had announced an investment in Medlanes, a digital health startup offering a self-care medical service: from a simple photo and a description of symptoms, Medlanes can quickly provide an initial medical diagnosis, followed by a consultation with a qualified specialist. Self-care services are growing exponentially as technology is providing very effective devices to monitor, track and visualize health status of patients. In various fields, companies are developing tools using wearable technology to improve self-care. 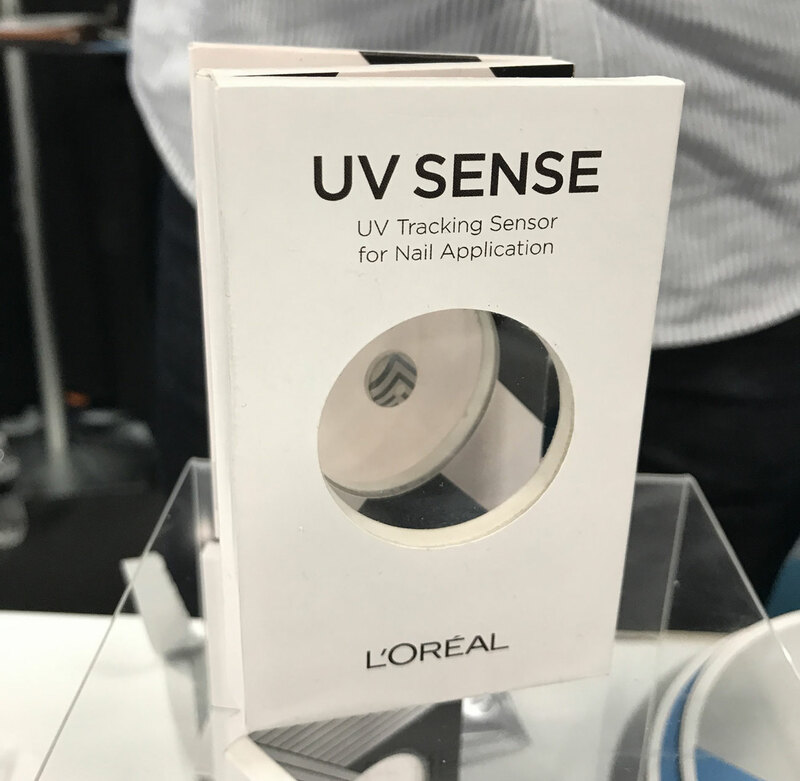 At CES 2018, L’Oreal introduced a wearable UV sensor, the UV Sense, that works without the need for a battery and is smaller than a thumbnail. The UV sensor is designed for thumbnails, as this is an area of the body that L'Oréal says receives optimal sunlight. The UV Sense tracks sun exposure and allow people to take more notice of sun safety, and in turn lower the risk of skin cancer. 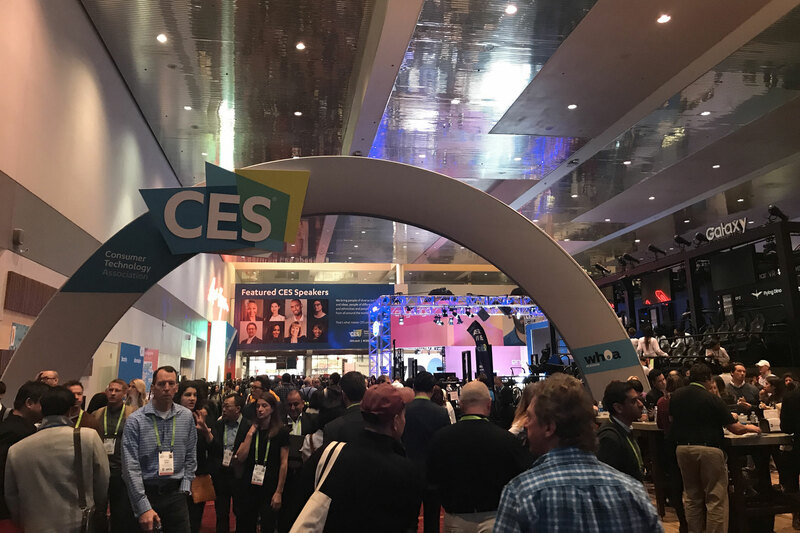 CES 2018, where over 3,900 tech brands from over 40 countries launch their new products, has also seen many tech companies unveil products that proactively analyze, diagnose, or treat sleep disorders. According to a 2016 CDC report, one in three adults in the US are not getting an adequate amount of sleep, putting themselves at risk of obesity, heart disease and other issues. 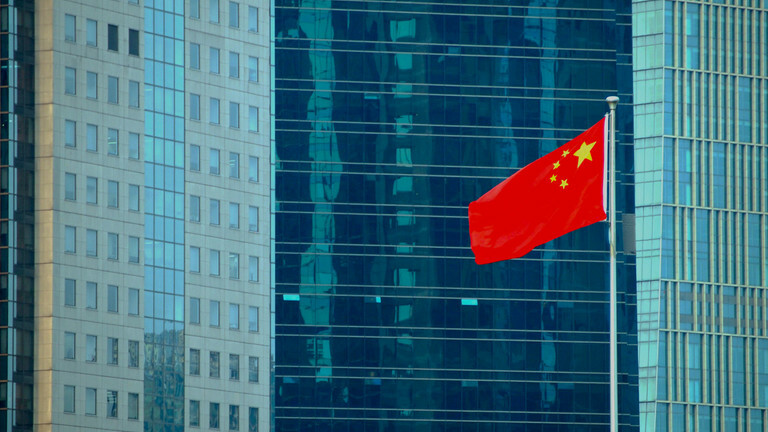 In fact, the global market for sleep aids has become a booming area in tech, and is expected to reach $76.7 billion in 2019 (source: BCC Research). 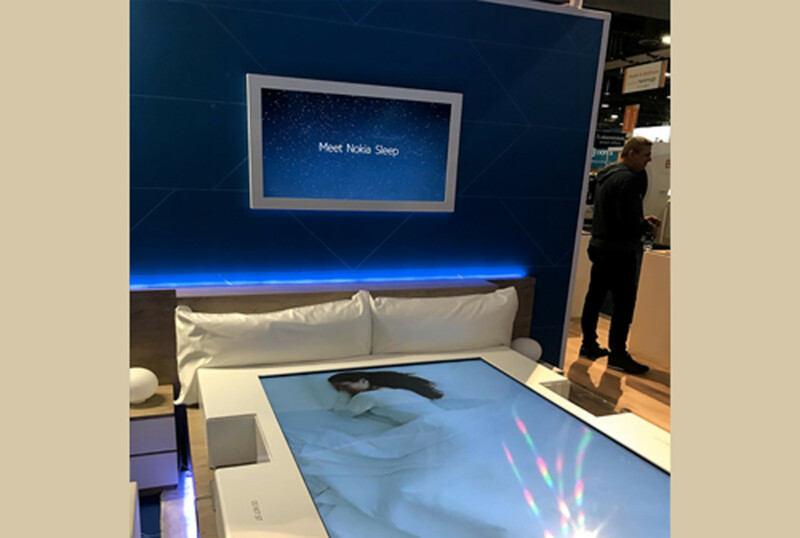 This year, a new exhibition area within CES was devoted exclusively to sleep technology. On January 22, 2018, AXA announced that it had entered into an agreement to acquire Maestro Health, a US health benefit administration digital company. Founded in 2013, Maestro Health is currently covering over 1 million people with a technology that simplifies and personalizes the benefits experience. Click here to know more. Kinga Igloi, an Hungarian researcher supported by the AXA Research Fund, observed similar trends. She is studying at the University of Geneva, in Switzerland, on the role of sleep in memory consolidation. Her research proves that sleeping is crucial to improve memory, but also reduce stress, or risks of cardiovascular diseases. 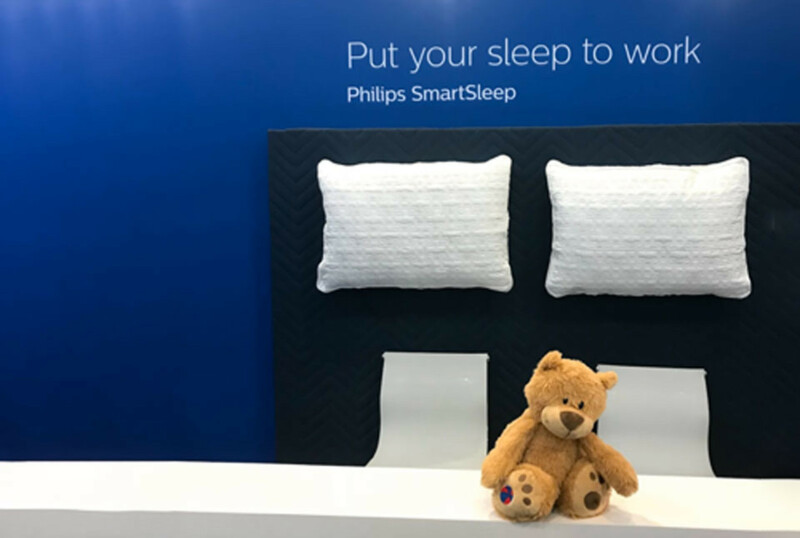 The Philips SmartSleep, new headband from Philips unveiled at CES 2018, uses built-in sensors attached to a forehead in order to detect brain activity. Then when deep sleep is detected, the headband’s speakers start producing customized audio tones that enhance the depth and duration of slow wave sleep. Nokia unveiled Nokia Sleep at CES, which is described as an “advanced sensor” built into a mattress pad. The WiFi-enabled smart sensors can monitor sleep patterns and also track snoring patterns. Nokia also developed dedicated sleep programs to help people achieve a better quality of life through sleep. Indeed, a lack of sleep among the U.S. workforce is costing approximately $411 billion and losing 1.2 million working days per year (source: Rand). An increasing number of companies are developing programs to encourage the workforce to sleep and to sleep well. For example, Shleep has developed an app that acts as a personal sleep coach. Shleep’s corporate programs provide digital training, personalized assessments and sleep education. 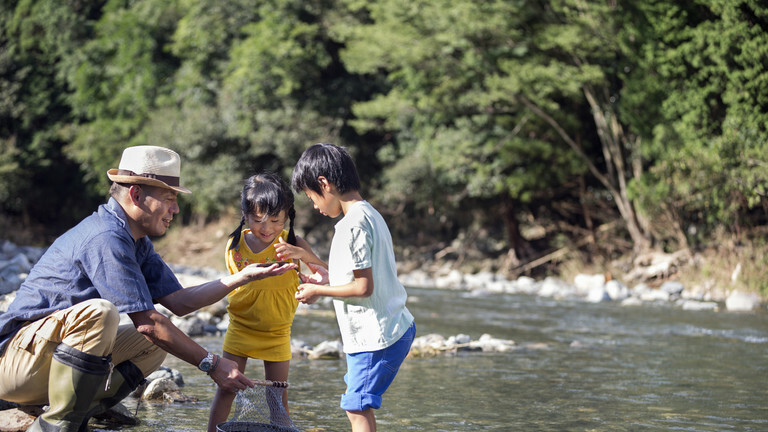 Today, 8.5 percent of people worldwide (617 million) are aged 65 and over. According to a report by the U.S. Census Bureau report, An Aging World: 2015, this percentage is projected to jump to nearly 17 percent of the world’s population by 2050 (1.6 billion). 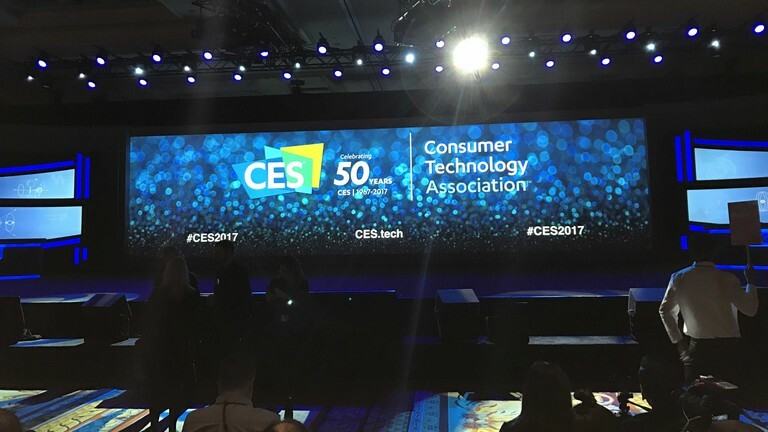 As the world’s older population continues to grow at an unprecedented rate, an increasing number of high-tech products have appeared at CES for the elderly, ranging from an airbag belt for fall prevention to companion robots. Falls often result in injuries to the head or hips, which leads to long-term complications and loss of independence. At CES, many technological innovations want to play a leading role in falls-detection programs. The startup E-Vone is working on a GPS-enabled smart shoe that features fall detection and alerts. The shoe can detect falling or abnormal movement and the system automatically sends an alarm message to the entourage (family, friends, neighbors, emergency services…) with geo-positioning. Another startup is developing a wearable product called the Hip’Air that features airbags hidden on either side of a special belt. The system detects that the person is falling in 0,2 seconds and both airbags inflate in 0,08 seconds above the hips. 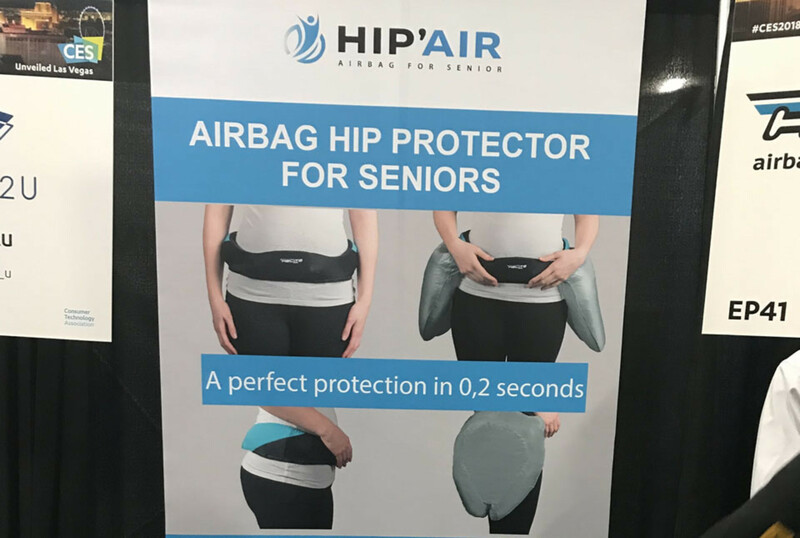 This product is addressing a serious problem: in France alone, 65,000 people fracture their hips each year, and 23% of people above age 55 die within a year after a hip fracture and about 50% lose their autonomy (source: Hip’Air website). Adjusted for inflation, the annual direct medical costs of fall injuries in the U.S. are $31 billion with hospital costs accounting for two-thirds of the total. It should also be noted that risks of falling is often higher at night sometimes due to tripping over slippers, or not being able to locate light switches, blinding light. Aladin, a French startup has developed a wall-mounted smart lamp that is designed to help the elderly. 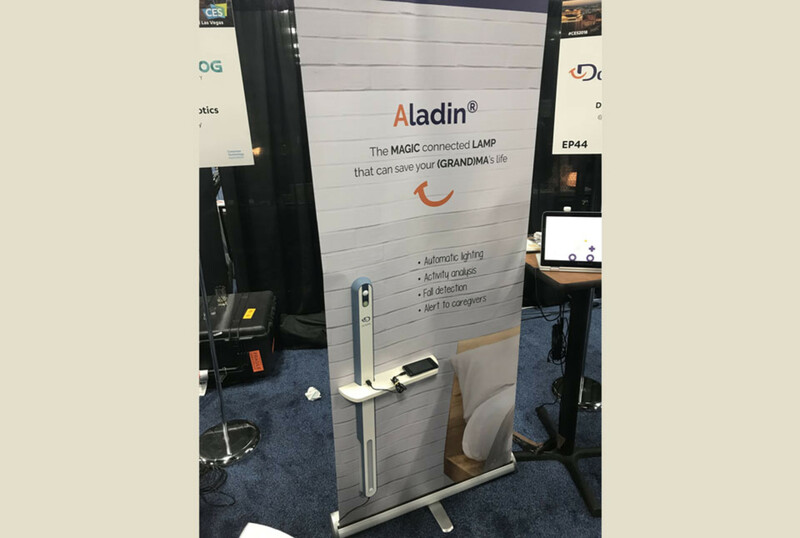 With multiple motion detectors inside of the fixture, Aladin can light the way for anyone getting up in the middle of the night. If they should fall, the device can send their relatives a notification telling them that they need help. We can expect more innovation in this space in the coming years as the overall fall detection system market is expected to be worth USD 497.3 million by 2022, growing at a CAGR of 5.58% between 2017 and 2022 (Source Markets and markets). 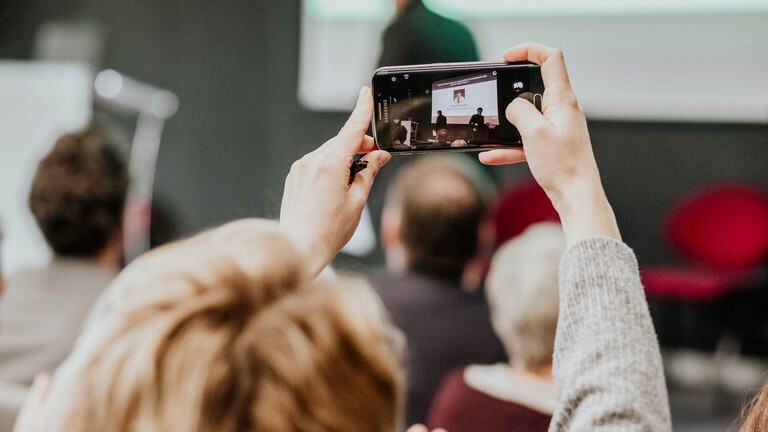 While many of us might think of this technology mainly intended for gaming and immersive entertainment, Virtual reality (VR) and Augmented reality (AR) could in fact be very helpful in the healthcare industry. In medicine, simulation and training are a very important part of any medical operations, especially when it comes to surgery. At CES, several technology companies are working on solutions to help prepare surgeons for actual practice and train their surgical skills outside the operation room. For example, the startup INCISION provides an online educational program for surgeons to teach surgical procedures step-by-step. The company uses 3D stereoscopic techniques to create a realistic online environment in which residents and surgeons can learn, train and be tested on best-practice based surgical procedures and anatomy. Oscar Health is one of the global leaders of InsurTech. Created in New York in 2013, it now sells policies in 6 states in the US and targets 1 billion dollars revenue in 2018. In January 2018, AXA has become Oscar’s exclusive reinsurer. A win-win partnership for both parties, enabling AXA to consolidate its footprint on the insurtech health market in the US, and Oscar to “enable long-term, capital-efficient growth”. Click here to know more. By providing efficient, flexible, and objectively structured training, simulation programs can aid surgeons in meeting some of the challenges of modern medicine. For instance, a French company called SimforHealth has designed immersive VR training solutions for medical training. The company reproduces different patient care environments virtually so that healthcare professionals can train in near real conditions. Digital simulation allows students or health professionals to virtually practice procedures, discuss therapeutic decisions or train for complex situations. 3D modeling and simulation tools have opened the door to a new age of healthcare. New advances in technology now enable doctors to create a treatment plan for a patient on the other side of the world, or test a drug without ever putting subjects at risk. At CES, Dassault Systems showcased a program called the living heart project which aims to build 3D prototypes of actual defective hearts that medical staff can view on a 3D screen. The holographic simulation is now available to medical teams who could use it to discuss how they would proceed with an operation, while viewing the 3D model. Augmented reality technologies also empower medical staff by providing them access to intelligent and intuitive, hands-free holographic interfaces, allowing them to focus their energy and attention where it matters most: on their patients. 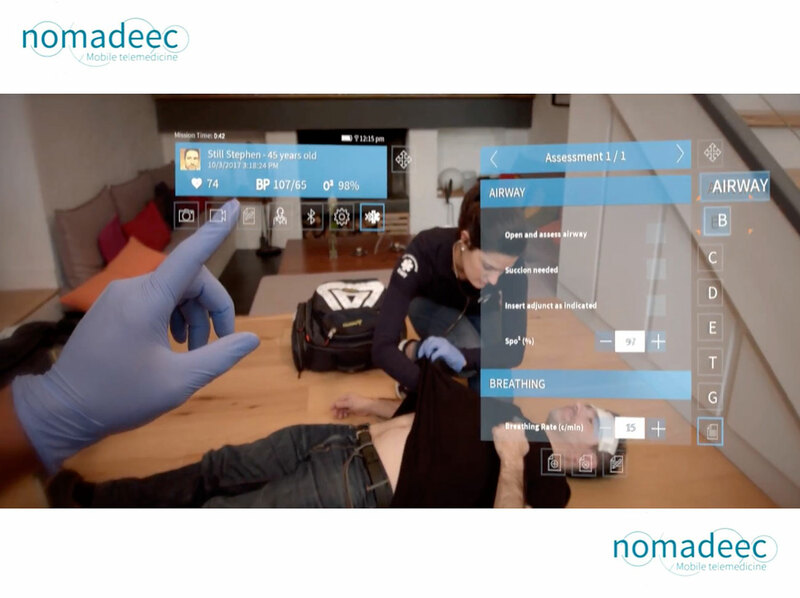 For example, Nomadeec presented at CES its new generation mobile telemedicine platform for healthcare professionals. Using AR glasses, the Paramedics and Emergency medical technician (EMT) can work with mixed-reality information accessible anywhere and anytime. Their "real-world" vision is augmented with digitized medical data of their patient. Paramedics have also access on location to tele-expertise and teleconsultations with physicians using real-time video conferencing. Doctors can then give instructions by way of video chat or holographic markers directly to the paramedics. 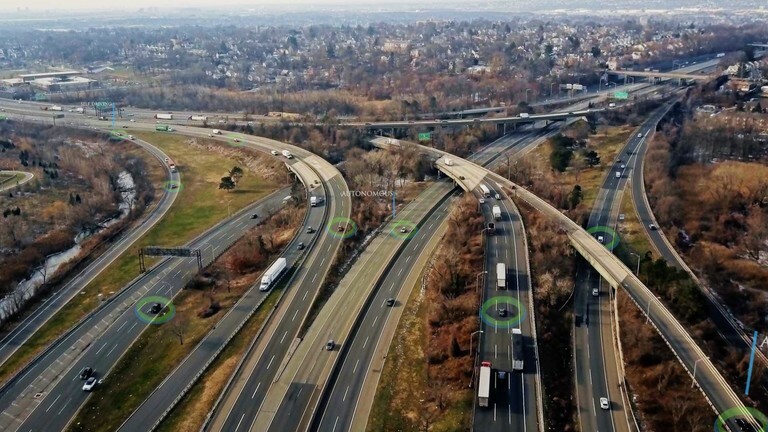 Connected and driverless cars: an opportunity to improve healthcare? With Digital health, cars have been a top trend at CES this year. But the car of the future will not just bring you from point A to point B, but will provide a brand-new range of services to improve your journey. The emergence of autonomous cars will transform the driver into a rider: drivers will be spending less time focusing on their driving, which in turn will open new opportunities to use cars in totally different ways. Could our cars replace doctors’ offices? This could happen sooner than expected. American citizens spend more than 160 million hours driving: this represents 47 minutes per citizen, per day (source). Some health care technology manufacturers are developing systems to make use of this “lost” time for health management purposes by leveraging the recent advances in health sensors and connectivity. Ford is already equipping test cars with cameras and sensors to remotely measure vital signs and understand specific situations (e.g. whether the person is falling asleep at the wheel or not). 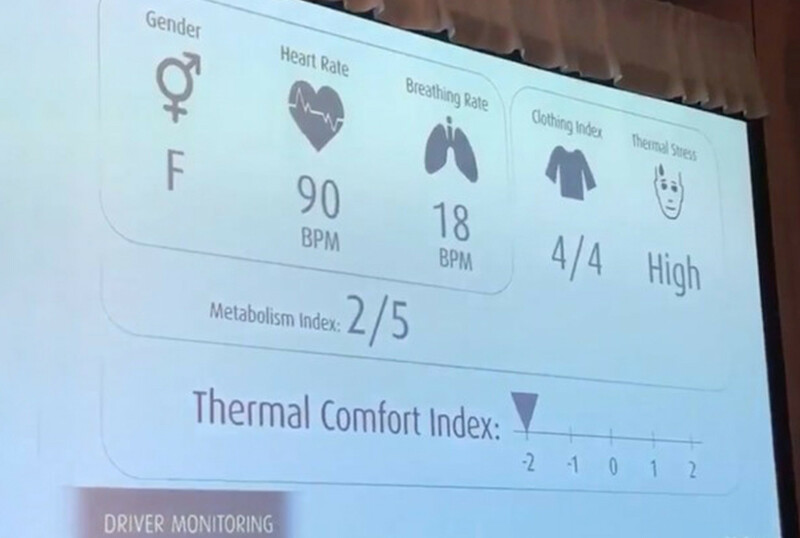 Valeo showcased various demos featuring health and wellness monitoring. 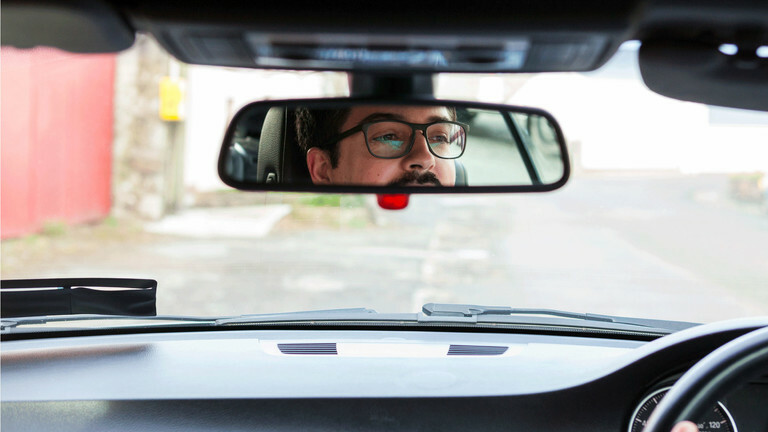 Based on in-seat sensors and the aforementioned cameras, information like heart rate, breathing patterns, and facial expressions can be monitored to determine stress levels, anxiety, and alertness to ensure driver safety. Faurecia is partnering with Accenture to learn about healthcare applications services to enhance health and wellness in the car. With health sensors (e.g. blood pressure, temperature body), the car will monitor how the driver feels and how the driver reacts. Using that data, the vehicle could automatically change seat position, turn on a massage, or change the music. Most car manufactures are already equipping the car with internet connections. 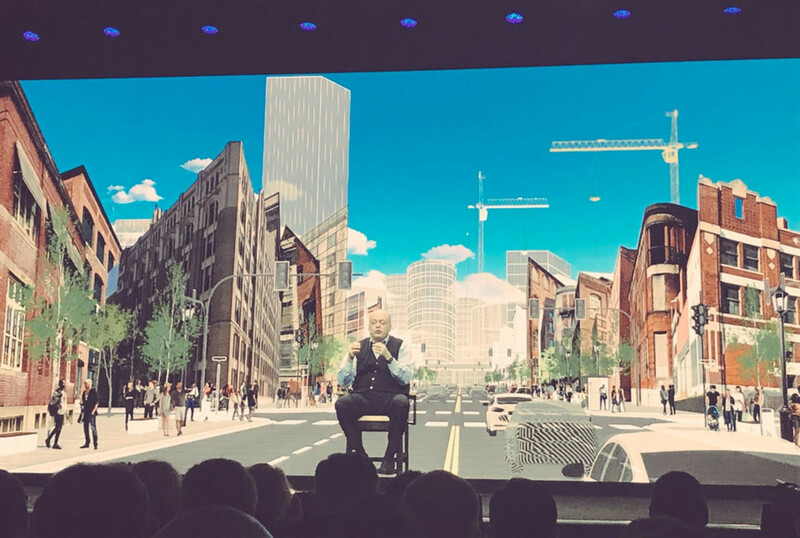 For example, the CEO of Ford announced this year at CES that every new Ford car will be connected to the Internet by 2019. Internet connected cars could make in-car telemedicine a real possibility: in the future you will be able to choose whether you want to stream music, be alerted of the traffic status or weather conditions, or follow a high quality video chat with a physician from the comfort of the car… Or even all this at the same time! One thing is certain, the car of the future offers a breaking new ground that digital health players as well as other service providers can invest in to provide the best services to the drivers of tomorrow.